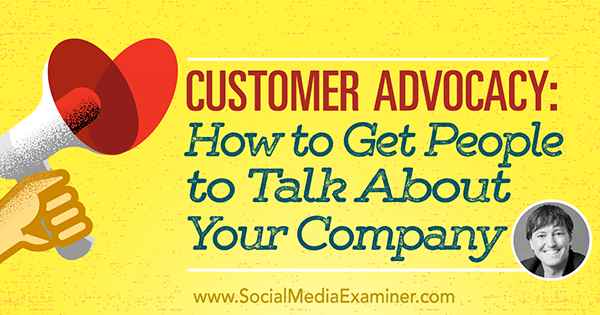 Are your customers advocates for your brand or business? Want to improve customer satisfaction and advocacy? To find out how to turn customers into advocates, I interview Joey Coleman. Joey Coleman joins us today. He’s a customer advocacy consultant and coach who has worked with Hyatt Hotels, NASA, and Zappos. Joey’s also a frequent keynote speaker and leads workshops on the customer experience and the customer journey. Joey explores what it takes to turn a customer into an advocate. You’ll discover the phases that lead to advocacy. Listen as Joey Coleman shares what marketers need to know about customer advocacy and how to get people talking about your brand or business. Joey has had an eclectic career. After college and law school, he did business consulting before working as a criminal defense attorney in the courtroom for many years. Then he taught executive education courses and ran a division of a promotional products company. About 15 years ago, Joey started his own brand experience and design firm. This led him to speak on stages all over the world, talking about how to create remarkable experiences that take someone from being a one-time customer to a customer for life. In each of his careers, Joey says, success hinged on two things. First, an understanding of human psychology (why people believe what they believe and why they do the things they do). And second, an ability to use that understanding to persuade people to take a certain course of action, whether it’s a sales pitch, brochure, website, infographic, piece of evidence introduced in the courtroom, or a closing argument. Looking back, his entire career has been all about the experience; meaning the experience someone is currently having and how to make it better. While marketing firms build ad campaigns, branding agencies design logos, and graphic design firms execute the visuals, Joey looks at brand experience and how all of the different elements of a business work together. Experience is the through-line that connects everything. Listen to the show to discover how the name of Joey’s business, Design Symphony, represents brand experience. Joey thinks customer advocacy is really the end goal for most organizations. It happens when you reach the point where your customers are such big believers in who you are and what you do that they become your external sales force. Customers drive new business and increase the amount of business they do with you because they’ve become such raving fans, they can’t help themselves. They advocate zealously for you and your business. Customer advocacy happens when your customers are such raving fans that they become your external sales force. Joey shares a brief overview of the history of business. In the 1980s, he explains, a movement came out of Japan that became known as the Total Quality Management approach to business. It was all about reducing product defects to as close to zero as possible. Out of this came things like Six Sigma Black Belt, as well as a general belief that when you buy something, it’s going to work. The 1990s were all about Just-in-Time manufacturing. For example, companies like Dell shortened the supply chain through building things on demand. As a result, the computer giant could dramatically control inventory, while at the same time push prices lower. Companies started to succeed based on being the lowest-priced player in the game, while at this higher level of quality. In the 2000s, it became all about the Internet era. Businesses built websites and could make everything available globally 24/7. Then in the 2010s, everything that happened over the past three decades came together. Quality was at an all-time high, prices were at an all-time low, and everything was accessible to everyone, anywhere, and at all times. Therefore, your customers’ experience is the last great differentiator. Quality can always get better, price can always get lower to a point, and access is already 24/7/365, so there’s nothing more you can do. Since quality is high, prices are low, and accessibility is everywhere, companies can only differentiate through experience. How it ties into customer advocacy is this: Customers aren’t going talk about a business’s low prices and high quality. Those things are expected, Joey says. However, they will talk about the customer service. When your service and experience are world-class, that’s when you tip into full-on customer advocacy. Listen to the show to hear why Apple is a great example of a company that creates experiences, advocacy, and loyalty. 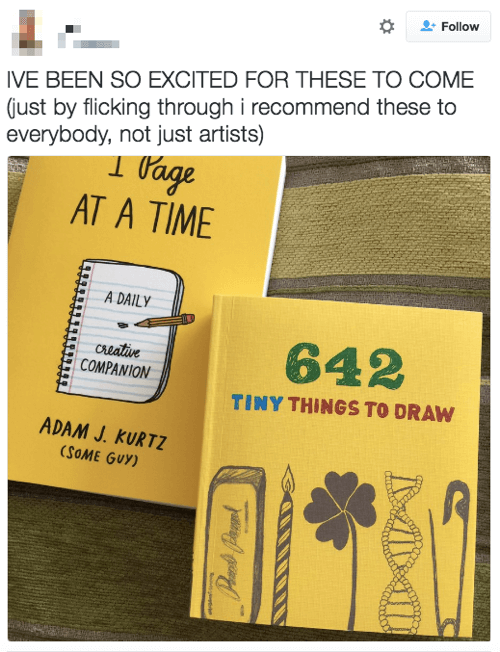 What Joey finds fascinating is the social media icons – whether it’s Facebook, Twitter, Pinterest, or whatever – they all talk about it in the context of fans. Maybe they want fans because of what the word “fan” actually means. It’s the abbreviation for the word “fanatic.” A fanatic is someone who possesses and expresses excessive and single-minded zeal. These people are loyal and radical about their beliefs. When social media first started, companies wanted more Facebook fans without recognizing that a fan on Facebook isn’t the same as a customer. Joey believes the evolution goes like this: You have a fan on social media who purchases whatever product, offering, or service you have, then they become a customer. And if you do your job right and treat them well as a customer, they shift from being a customer to being a fanatic. At that point, they’re driving your business. Raving fans are your non-salaried, external sales force, which drives your growth and success. 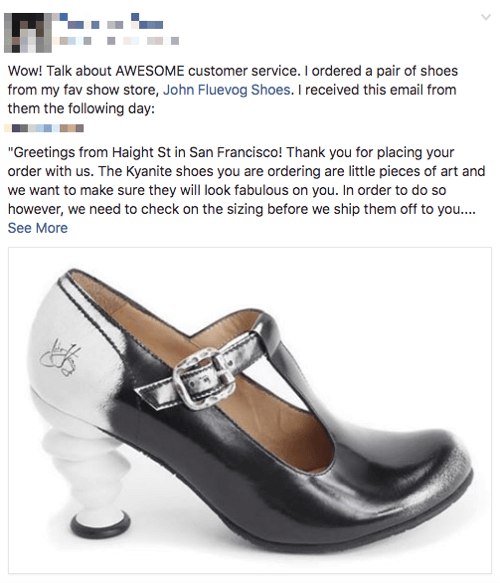 A Facebook fan is not the same as a customer. Fan advocacy is a subset of customer advocacy. They’re super-customers. In the online world, businesses try to create some type of proof point that says they’re legit. 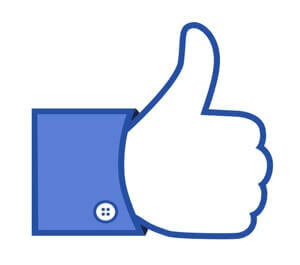 Here’s the problem: Just because people like a business’s Facebook page doesn’t mean they’ll buy the products. For example, Joey is a raving fan of Apple but doesn’t need to prove it. All someone has to do is meet him, and see his iPhone, MacBook, and Apple watch. He has visual displays of his Apple fandom, so he doesn’t need to do it on social media. Listen to the show to hear why Joey believes vanity metrics don’t matter and learn which metrics do. Most customer journeys fall into one of two categories, Joey explains. Customers either wander around in the darkness (no idea of what’s coming next) or they’re on a roller coaster of high and low emotions (sometimes the experience is great and sometimes it’s horrible). Joey believes business owners and consultants need to construct a customer journey that they want their customers to take. Walk your customers through the seven phases of their journey. The first phase is assessing. This is the marketing phase, where the customer assesses if he wants to do business with you. Next is admitting: The customer makes a purchase. He admits to himself and to you, by signing a contract or buying your product, that he believes he needs your service or product. Almost as quickly as customers make a purchase, brain science shows that dopamine floods their brains. They feel excitement and euphoria that this will solve all their problems. Then the dopamine starts to recede. Customers move into the state of fear, doubt, and uncertainty. It is commonly known as “buyer’s remorse,” but Joey calls it the “anxious phase.” While you celebrate that you landed the customer, the customer is second-guessing his decision. The next phase is activating, which could be the kickoff meeting or when the package gets delivered and opened. Activating is the energetic motion where the business owner or consultant begins officially delivering on the promises made. Joey calls it “activating” because he wants people to feel energized. This is the time to bring a lot of force, energy, and drive to the relationship. Next is the acclimating phase, where the customer is getting used to doing business with you. Although you’ve run this type of consulting project, onboarding, or software implementation hundreds of times, it’s the first time this customer has done it with you. So, you need to walk him through your process. It’s a vital part of relationship-building since the customer is figuring out if he wants to have a long-term relationship with you. Advocacy grows as your relationship grows. Then there’s the adopting phase. This is when the customer takes ownership of the relationship. For example, Joey says Apple has a relationship with him, in which he has adopted them. Joey gets on Mac Rumors to see what’s coming next and watches keynotes about soon-to-be-released products. He’s taken ownership of the marketing and the sales. All businesses seek the seventh stage, which is advocating. This is when customers become raving fans. They have to tell everyone they know what a great experience they’ve had with you, and what a great product or service you have. Plus, they try to drive as many new people to sign up to be a part of your business as soon as possible. What’s fascinating, Joey explains, is most companies fail at the acclimating stage. They never properly acclimate their customers, which means the customer never adopts the relationship and never becomes an advocate. Most marketers believe that once the product ships or the contract is signed and gets handed off to the implementation or service delivery team, they no longer have any role, responsibility, or ability to influence acclimation. But that’s where Joey thinks they’re wrong. There are simple things you can do to fix that. If you ship a physical product, you can seed the packaging and the product with messaging and items that are designed to build engagement. For example, one of Joey’s clients sells a cover for the backseat of your car so your dog doesn’t tear it up. Although they were doing a great job of selling, they wanted to figure out how to improve acclimation, which leads to adoption and advocacy. They decided to include an insert with the cover, which directed people to a URL with a personalized video on how to install the cover properly. Adoption is important, and clearly something not all people do. Everyone has purchased products they never took out of the package, clothes with tags on them in the closet, and never-opened books on the nightstand. Joey says another thing you can do is make sure that the handoff between sales and service, or the marketing team and the account managing team, is smooth. Incentivize your marketing and salespeople through their salaries or financial compensation on retention. Most companies pay out a bonus for retention to the account managing team. Yet if it came out as a bonus to the sales team, they would likely be more focused on getting the right kind of clients in the door and making sure those clients stayed once they got there. Incorporate retention into the structure of your organization and how you operate your business. And also look at the tactical elements of your packaging, messaging, and follow-up, which each contribute to your ability to create remarkable experiences. My wife gets packages she orders online that ask for reviews, and Joey says it fits into this but with two distinctions. One is smaller companies are better at this, mainly because they have fewer customers. When a company gets bigger, it might be harder to do at scale. However, larger companies have more resources, and therefore have more tools and possibilities to make that customer feel welcomed and loved. Gary Vaynerchuk’s book, Jab, Jab, Jab, Right Hook, addresses this, Joey adds. The problem with asking for a referral, testimonial, or review in the package is that it’s too soon. Wait to ask for a referral, testimonial, or review. This would be an insane thing to do in your personal life. Joey asks, how often have you purchased something, especially in the world of software and online, when you get to the shopping cart, it asks you to give emails of other people who might be interested in the product? Joey says not only would he not give it to them, but they also made the bar that much higher for him to ever give that information since the company didn’t stop to care about him. Joey loves the idea of asking. However, hold off until after the customer has moved into the adoption/advocating stage. Listen to the show to discover what question Joey is asked all the time and how he responds. Car dealerships often ask for a perfect score service review right after you pick up your car, so you don’t know the quality of the service yet. Joey says what most people don’t realize is, especially in the customer service scenario, dealerships are incentivized on the number of perfect scores they get. So they game the language in the way they ask for it. 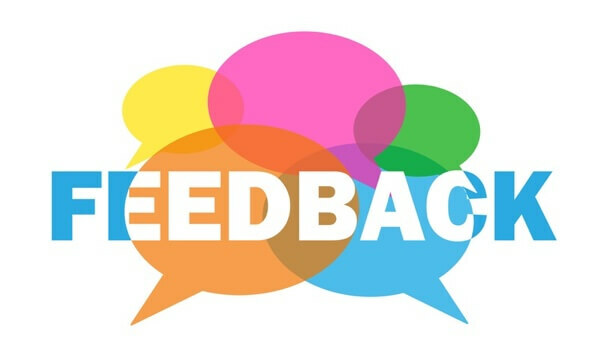 How you ask for feedback matters. They say anything less than perfect doesn’t matter. So if you’re not going to give a perfect score, it doesn’t matter and you throw it away. They get fewer responses, but the responses they get are from people who have been preconditioned to give them a perfect score. Those dealers usually receive bonuses based on the number of perfect scores. Joey’s a bigger fan of tactics similar to what Jay Baer talks about his book, Hug Your Haters. Go to your customers and say you know you have shortcomings. Ask them what they think your shortcomings are, since you are constantly seeking to improve. Asking people what you can do is a different conversation since it gives you actionable information. Later, go back to that customer, thank him or her for the feedback, and say that you made changes to your policies based on the comments. Now they’re on their way to becoming fans because they’ve been heard. The process of how to ask for feedback breaks down into an acronym. Joey says everything he does is about focusing on the first 100 days. To do this, you have to focus on first things first. F is Find out. Find out what’s most important to the customer. I is Investigate. Dig deeper. Go beyond what they said they want to what they really want. Explore on their social media sites to learn more. Go on someone’s Twitter feed, Facebook wall, or even their LinkedIn profile to see all of the things they love and care about, whether that’s their kids, dog, favorite sports team, where they went to college, causes and companies they worked for, and so on. After you investigate and find out what’s important to them, you get to the R, which is Respond. Share your findings in a way that shows you did your homework. Use a variety of communication tools and avoid sounding creepy, and show them that you pay attention to what they’ve been saying. Now take it one step further and S, Surprise them. Give them gifts of unexpected little things. Even something as simple as a thank-you note is appreciated. That brings us to the T, That’s it. It’s so simple. There is no T.
This isn’t rocket science, Joey continues. If you find out what’s important to your customers, investigate a little deeper, respond in a way that shows you care, and surprise them to keep the relationship interesting and exciting, that’s all you need to put your customers first and have a remarkable experience in the first 100 days. Listen to the show to hear Joey’s mission. 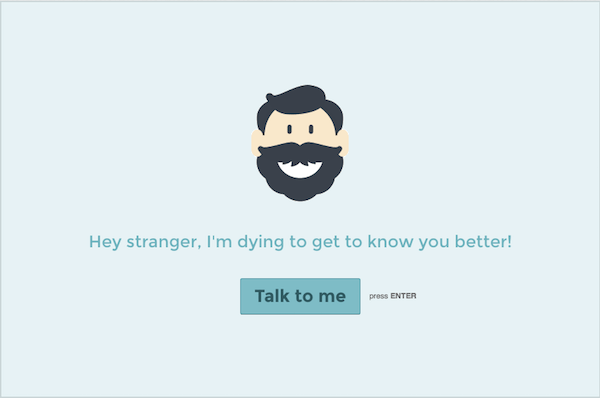 To create cool forms on the web, try Typeform. You know how you can create a questionnaire on Google forms or SurveyMonkey? Typeform is a version of that, but it’s much more visually appealing. It feels like a good user experience. Go to Typeform.com, and get started for free. Typeforms can include information, payments, and registration. It’s optimized for mobile. You can even create a form on a mobile device and see how it looks as you are creating it. It’s fun to take their surveys since it’s easy, looks cool, and has an awesome user interface. Typeform is web-based and works across any platform. The basic plan includes unlimited Typeforms and responses. Upgrade to the pro and the pro plus versions for a monthly charge, which gives you a custom thank-you screen and priority support. Plus, you can remove the Typeform branding. Listen to the show to learn more and let us know how Typeform works for you. Today’s show is sponsored by Social Media Success Summit 2016. The Summit is ideal for community and social media managers who need to figure out how to make social media work, build a community, connect with customers, and drive traffic. It’s also good for owners of, or people who work for, a small business. It’s good for large businesses too, but it seems like small- and medium-sized businesses benefit the most. Also, if you’ve mastered one social network, like Instagram, and are ready to expand to another social network, this event is for you. You’ll soak in 39 social media marketing sessions taught by the top social media pros, including Mari Smith (co-author, Facebook Marketing: An Hour a Day), Michael Stelzner (founder, Social Media Examiner), Kim Garst (author, Will the Real You Please Stand Up), Joel Comm (co-author, Twitter Power 3.0), and Amy Porterfield (co-author, Facebook Marketing All-in-One for Dummies)–just to name a few. They’ll share their latest social media marketing tactics with you. Check out the agenda, and see if it’s worth it to take your social media marketing to the next level. Discover the best and newest ways to market your business on Facebook, Instagram, LinkedIn, YouTube, Twitter, Pinterest, and Snapchat. Find new ways to improve your content and measure your results with sessions on video, live video, visual marketing, analytics, and marketing tools–all from the comfort of your home or office. 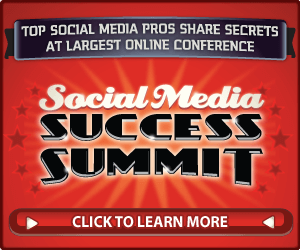 Register now for Social Media Success Summit 2016. Learn more about Joey on his website and Design Symphony site. Check out Hyatt Hotels, NASA, and Zappos. Explore the Total Quality Management approach to business, Six Sigma Black Belt, and Just-in-Time manufacturing. Take a look at Dell, Apple, and Mac Rumors. Learn more about Gary Vaynerchuk and read Jab, Jab, Jab, Right Hook. Check out Jay Baer and read Hug Your Haters. Watch our weekly Morning Social Media Marketing Talk Show on Fridays at 8 AM Pacific on Huzza.io, or tune in on Facebook Live. Learn more about the Social Media Success Summit 2016. What do you think? 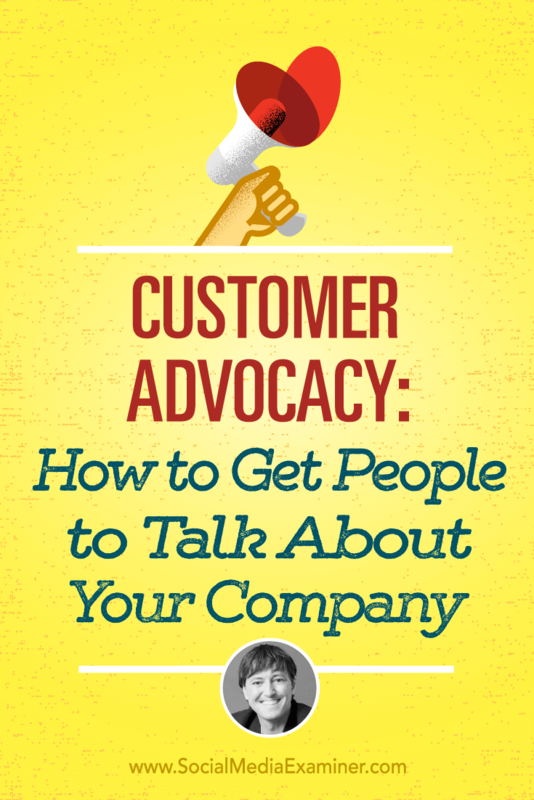 What are your thoughts on customer advocacy? Please leave your comments below. 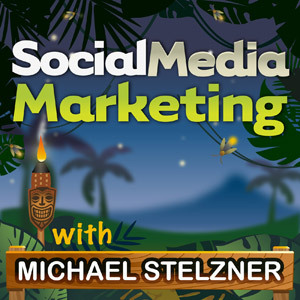 Joey Coleman talks with Michael Stelzner about customer advocacy and how to get people to talk about your company.